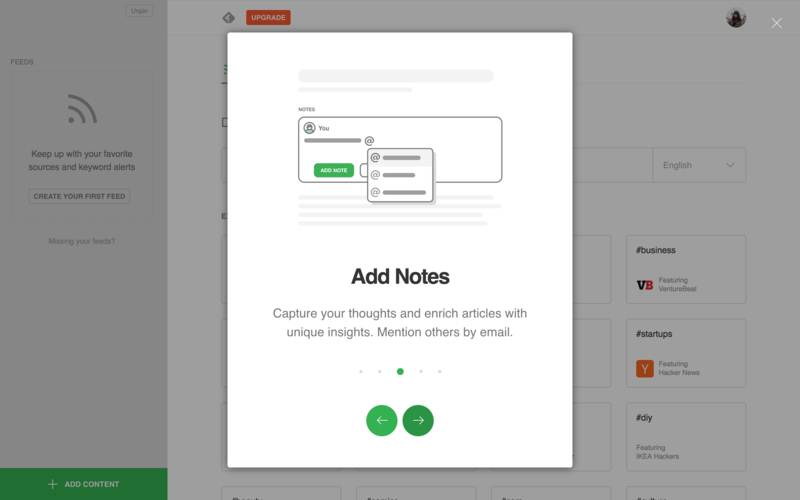 With Feedly, readers can search for, organize, save and compile content from their favorite news sources into their own curated news list. Rather than browsing multiple websites, users can get the information they want in one centralized location. 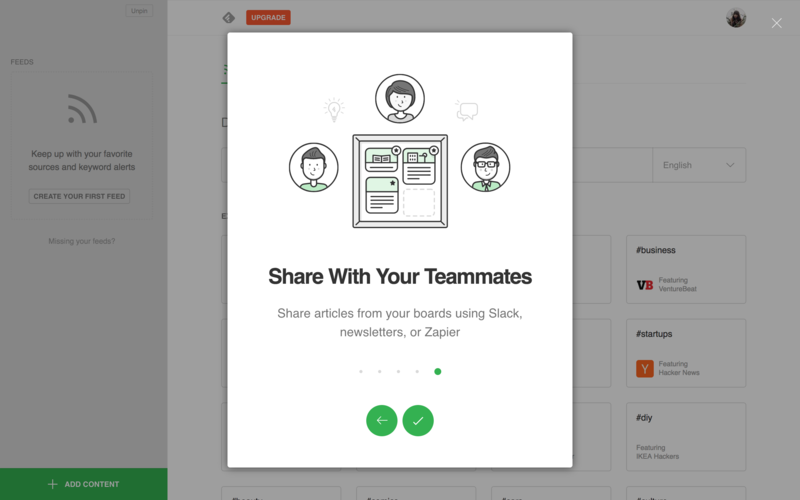 Recently they've added collaboration features so that teams can get value out of Feedly as well. They make this announcement via a helpful introduction walk-through. 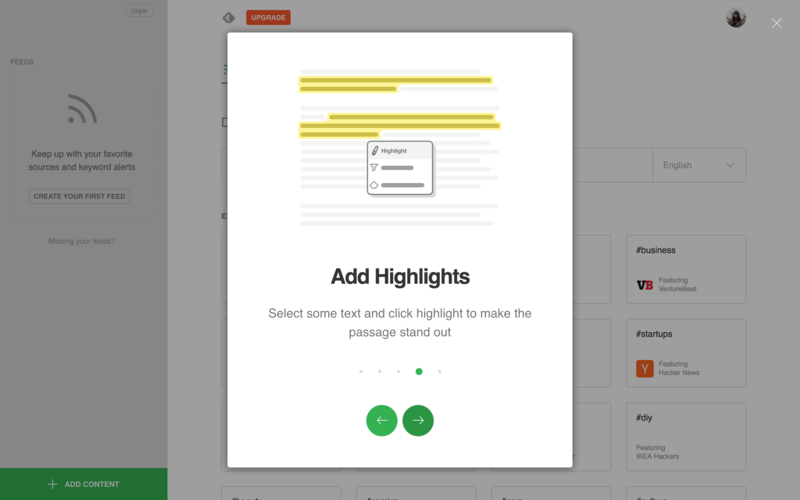 Feedly's 5-step walk-through highlights the value of this new feature, which is important because Feedly is informing readers that they can use the tool in an entirely new way. A multi-step onboarding flow is appropriate in order to show users the new ways they can enjoy Feedly. Cute graphics that demonstrate each step accompany the text, giving this walk-through a friendly and light feel. The whitespace around the images and text also give each card a more relaxed feel. Users don't have to feel overwhelmed by a busy window with tons of new information. Instead, they can digest these simple and concise steps one at a time. Feedly shows users just how many steps there are with the dots below the text, which helps users decide whether they want to take the tour or not.